“I strive to be better than Kendrick, Ab-Soul and Jay Rock,” Schoolboy Q told HipHopDX in June. “I gotta be better than [Kendrick’s] s— or just as good. It has to be just as good or better.” The influence of Kendrick Lamar’s “Good Kid, M.A.A.D. City” album shows through Q’s attempts at storytelling, but he fails to perfect the skill. 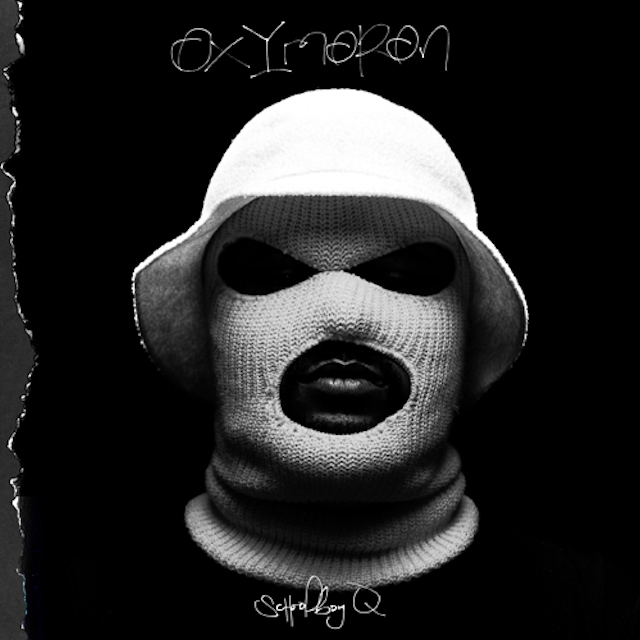 “Oxymoron” contains much of the Schoolboy Q his fans know and love. For example, his signature ad-lib “Yawk!” is present throughout the album in addition to several, more traditional Schoolboy Q gangsta rap bangers such as “What They Want” and “Break the Bank.” But listeners might notice a more personal side of Q in “Hoover Street,” which tells the haunting history of his life and how he came to be the rapper he is now. Although there are a few songs that particularly stand out, a downside is that many seem to fade into the background and are not very memorable. Q’s best tracks on the album are where he shows off his versatility. He displays many different styles, switching from casual mumbling on “Break the Bank,” to quickly spitting rhymes on “The Purge.” The latter song is an interesting listen because instead of Tyler, the Creator having a verse on the song. Tyler does the hooks and interludes, while it features a verse by Kurupt. Top Dawg Entertainment’s beats shine in hazy, Chromatics’ sampled “Man of the Year” and soft, 90s style “Blind Threats.” “The Purge” continually and unusually uses a siren in the beat while “Prescription/Oxymoron” features interludes by Q’s young daughter, Joy. “Oxymoron” shows that Q can hold his own with the many talented and established rappers who are featured on his songs, but he does an impressive job producing singles by himself, as well. Q’s single critical mistake, however, was releasing all his strongest songs as singles before the album’s release. “Collard Greens” was released back at the beginning of June 2013, and although it was popular then, it is old news now. “Man of the Year” was released last November, creating a lot of anticipation for the album, but it stands out among the tracks as one of the strongest songs, leaving much to be desired in the remaining tracks. Although Schoolboy Q has no problem proving he’s a complex and brilliant artist, “Oxymoron” is not quite the outstanding follow up to “Habits and Contradictions” that fans anticipated.